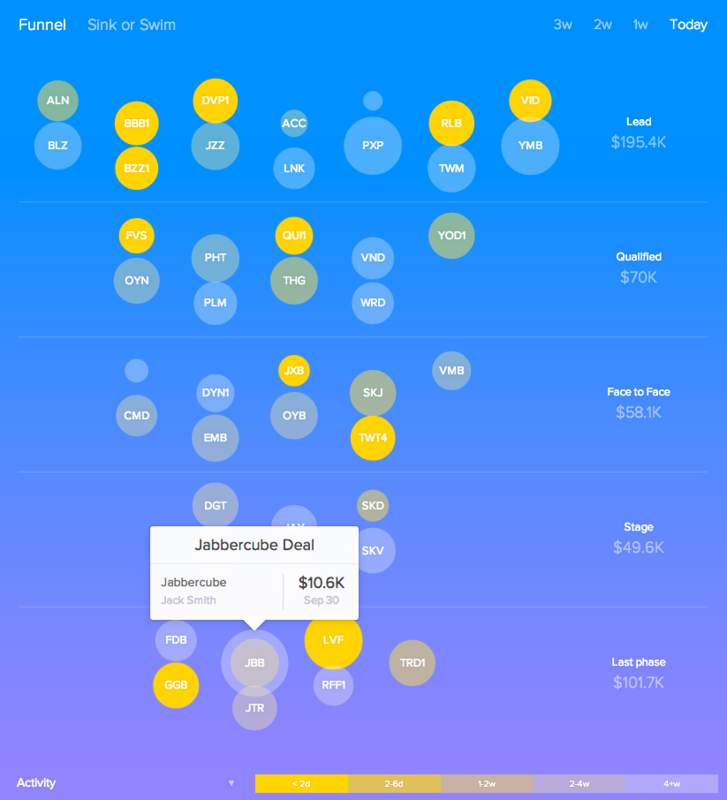 The Funnel shows you active deals across different stages of your pipeline from the earliest phase at the top to the most progressed deals at the bottom . 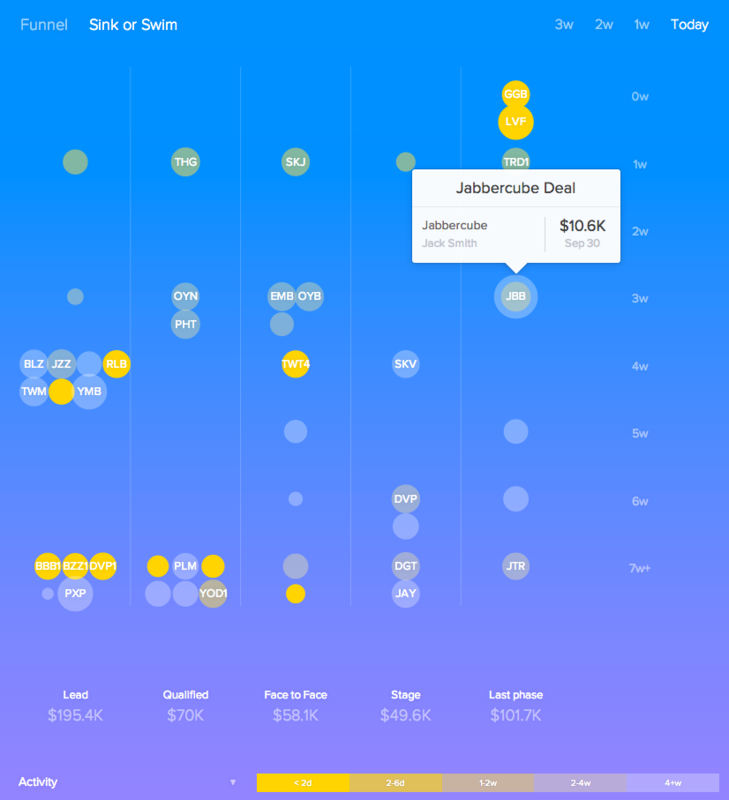 Typically a funnel will have more deals in the earlier phases than in the later phases as deals are either progressed or qualified out from one stage to the next. 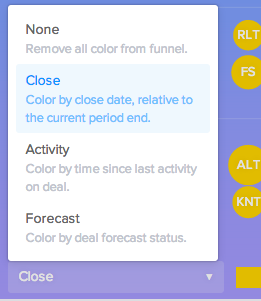 Sink or Swim allows you to see which deals are progressing and which have stalled in their current phases. This helps to guide you qualify opportunities out that have not shown progress over a period of weeks.